This white paper is focused on the future of collaboration with all digital landscapes. A major driver for the rise of virtual skills-based teams is the emergence of technology that enables easy collaboration and development 24/7 throughout the world. Even more importantly perhaps is how these teams best be supported to work efficiently and compensate for the proximity factor. This is where HR comes into play. What is the appeal of virtual teams? Which are the causes for the greatest misunderstandings in cross-border communication for your organisation? 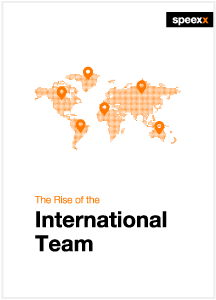 The need for better employee engagement and productivity has become pressing in an international marketplace. Forward-thinking organisations are responding to this by structuring themselves in a more responsive and flexible way. Rather than setting up hierarchical and geographical structures, there is a move towards matrix configurations, building skills-based project teams as needed to develop new products or services or to enter new markets.